STATIONERY - Elevate your everyday correspondence. This pinstripe pattern is professional yet playful. Horizontal cards, size 7" x 5". 20 cards / 21 envelopes per pack. Please allow for 5 - 7 days for shipping from Wall Street Greetings. Printed on uncoated recycled stock by an FSC certified printer. Price per card includes size A7 white envelopes, also manufactured on recycled stock. Made in the USA. 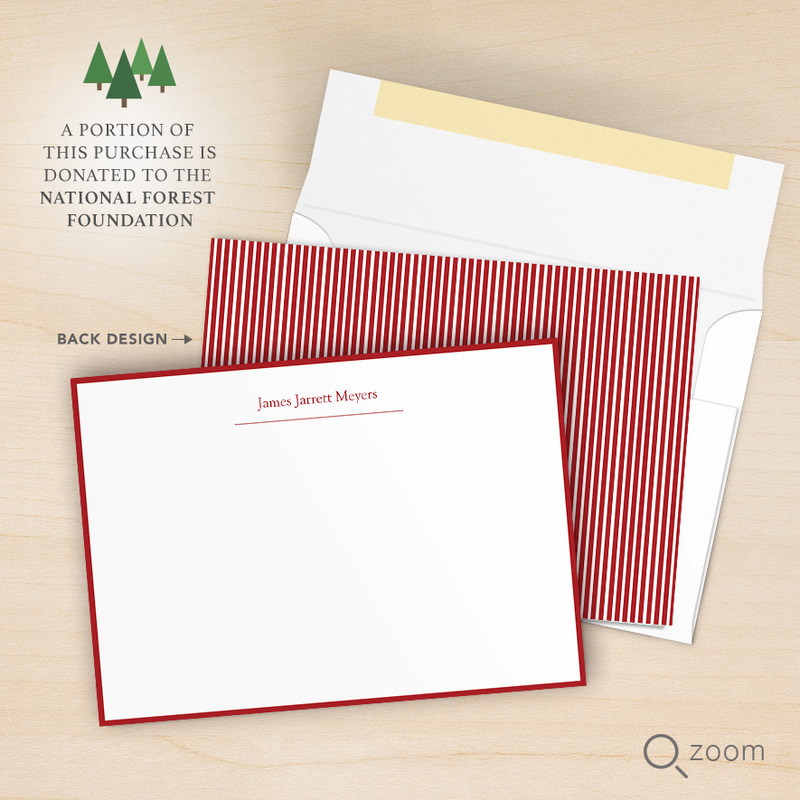 A portion of every sale from our Stationery and Note Card line goes to the National Forest Foundation, committed to the future of public lands and safeguarding America's treasured National Forests and Grasslands.